The Iranian Foreign Ministry spokesman Bahram Qassemi made a dramatic announcement today that Tehran has hosted a delegation from Taliban to discuss possible ways to end the conflict in Afghanistan. Qassemi disclosed that the talks, which were held at the level of Iran’s Deputy Foreign Minister Abbas Araqchi on Sunday, were “extensive” and that they were “coordinated” with the Afghan government. He didn’t elaborate. Qassemi said the visit by the Taliban delegation to Tehran followed the recent consultations of Iran’s Supreme National Security Council Ali Shamkhani to Kabul on December 26. He said the Taliban leaders had expressed interest in meeting Shamkhani and the Afghan authorities were “fully aware” of the meeting and the negotiations. Qassemi added that Tehran principally aimed to “facilitate” dialogue between the Afghan groups and the Kabul administration so as to advance the peace process. He said Araqchi is planning a visit to Kabul shortly for follow-up discussions. It is highly improbable that the Saudi and Iranian tracks shall ever meet. The best hope will be that they do not collide. What can happen is that the Afghan endgame may remain open-ended without any conclusive end in sight in a near future. But the silver lining is that the regional states such as Russia and India may no longer have to accept as fait accompli the outcome of the quadripartite process involving the US, Saudi Arabia, the UAE and Pakistan. Equally, the non-Afghan groups now get a breather, who are worried that a peace settlement reached by the quadripartite process may ignore their legitimate interests. Influential Afghan groups from the non-Pashtun regions of the north, west and the central highlands are watching with dismay that a settlement might be imposed on their country. Curiously, the very same extra-regional powers and Pakistan who incubated the Taliban in the early 1990s, launched it on the Afghan landscape and made possible its conquest of Kabul in 1996 are now reappearing as the charioteers of peace and reconciliation with the Taliban. Arguably, what Tehran may have done is to create space for the Taliban to withstand pressure from the quadripartite process. Tehran is explicitly opposed to any settlement in Afghanistan that may allow continued American military presence in the region. Tehran factors in that the US, Saudis and Emiratis are jointly advancing the project on regime change in Iran and will not hesitate to use Afghanistan as springboard to foster cross-border terrorism to destabilise Iran. Simply put, Tehran fears that the US objective in Afghanistan is to create a Syria-like situation in the region that will engulf Iran in violence and anarchy. The emergent contradiction can be reconciled in only one way – by Pakistan living up to its stated position, namely, to give primacy to regional consensus on any Afghan settlement. However, Pakistan’s hands are tied after having accepted the multi-billion dollar bailouts recently (amounting to a total of US$ 12 billion) from the Saudis and the Emiratis to cope with its economic crisis. Pakistan had a choice of approaching the IMF but the US made things difficult. That in turn turned out to be a smart American ploy to involve its Saudi and Emirati allies who promptly loosened the purse strings to rescue Pakistan. 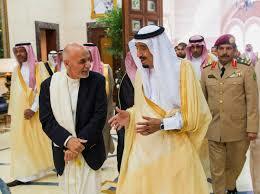 Suffice to say, Pakistani leadership is no longer free to defy the Saudi-Emirati diktat on Afghan settlement. On the contrary, many regional states — Iran, Qatar, Turkey, in particular — view Saudi Arabia and the UAE through an entirely different prism, imbued with horror. They watch with dismay that the real winner in all this will be Saudi Arabia. Indeed, it is a masterstroke by the Saudi regime to assume the role of peacemaker at a juncture when its international image is severely damaged following the brutal killing of Jamal Khashoggi. Ironically, Saudis are undertaking a rescue act to help the US wriggle out of a 17-year old war. Make no mistake, Riyadh is displaying its importance as the US’ irreplaceable regional ally in the Muslim Middle East. It expects better sense to prevail in the US Congress and the American media who have been clamoring for punishing the Saudi regime for the murder of Khashoggi.